Барааны дугаар 9781316608104. Categories: CAMBRIDGE, Readers. Endorsed for reading by Cambridge Assessment International Education, Cambridge Reading Adventures is our international primary reading scheme. 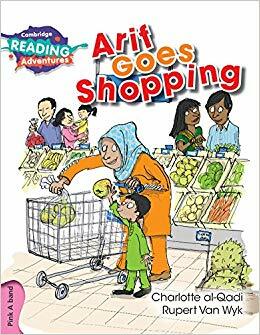 Arif and his mum are shopping, what will the put in their trolley? Pink A books are intended for new readers with around 30-60 words, colourful illustrations and a high level of repetition to help with word recognition. Contains full teaching support including learning outcomes, curriculum links and follow-up activities.